were already in the distribution pipeline. 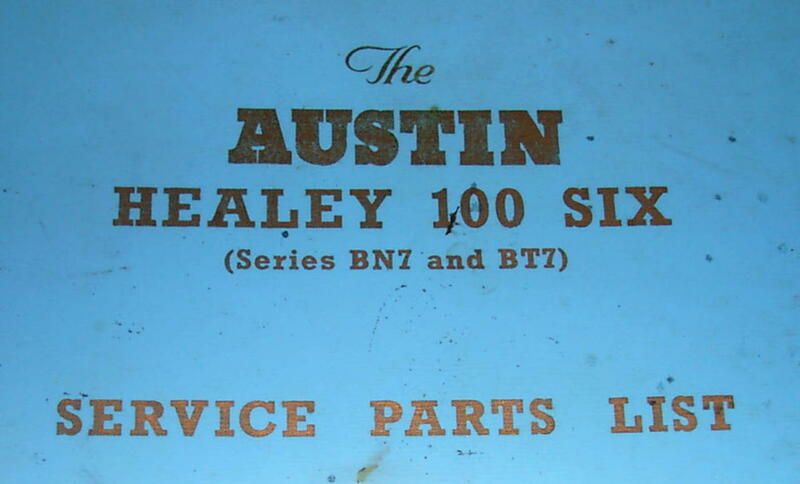 The differences between the late 100/6 and early 3000 are so small (larger displacement engine and front disc brakes) that I do not believe the BN7 and BT7 were originally intended as an entirely new model. Rather I suspect that the marketing folks were still trying to overcome the effects of the bad press the 100/6 received when it was first introduced with less performance than its predecessor, and decided at the last minute to change the name. Hence the new model designation of 3000. It is also possible that the 3000 badges weren't ready in time to be installed on the earliest cars, but that just ads further support to the theory that the decision to change the model designation came very late in the game. Regardless of the reason for the badges, my BN7 rolled off the assembly line as a 100/6. I had considered installing 3000 badges but decided against it. John's version of events appears logical; its nice to think there are two more models of the 100-Six to chose from...that makes six in all! Another interesting, related item is that I have an ad for the 100-Six from Country Life Magazine dated June 18 1959.....thats three months after the 3000 was supposedly introduced. You can see the ad at Period Ads . 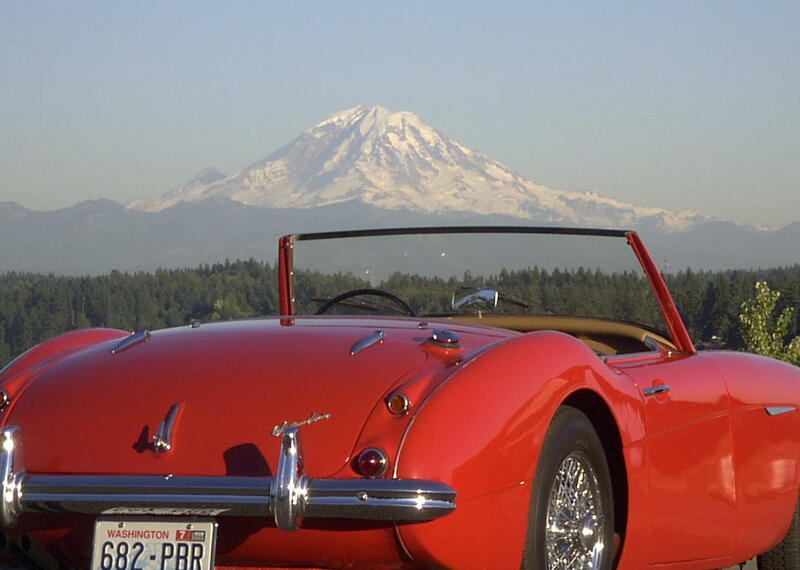 "I own a very rare Austin Healey. It's a 1959 100/6 BN7. Now I know the model 3000 is considered to have begun with production of the BN7 and BT7, but I can assure you that this BN7 is indeed a 100/6. 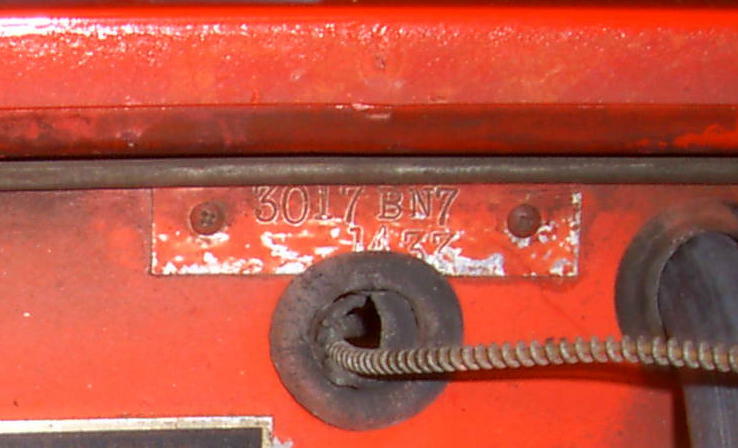 The car has a very low chassis number indicating it was built early in BN7 production. 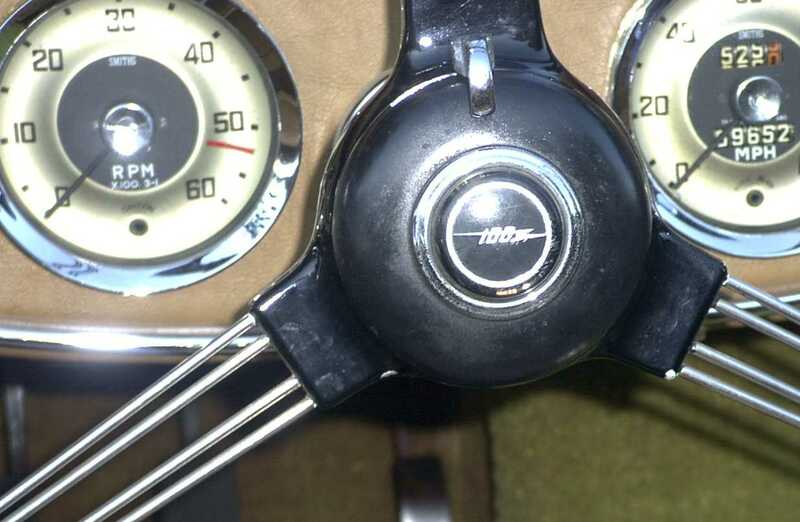 While the body number, chassis number and engine number all identify it as a BN7, the badges on the grille and horn button say 100/6. In addition, there are no holes in the trunk lid for the 3000 badge that is supposed to go there. The conventional wisdom seems to be that during production they just used up the stock of bodies (including badges) that were left over from 100/6 production on the early 3000's. While possible, I have a hard time accepting this explanation. The effort and expense required to change the badges on these cars during final assembly at Abingdon is so small that it just doesn't make sense that they would allow cars to be shipped out with incorrect badges. Also, the body tag on my car (The one with the body and batch number) is stamped BN7 and was installed prior to paint, which surely preceded badge installation. So they did not simply use up left over 100/6 bodies on the new model. This is not the result of incorrect parts from donor cars. I purchased the car from the son of the original owner and it shows no evidence of ever having been apart. 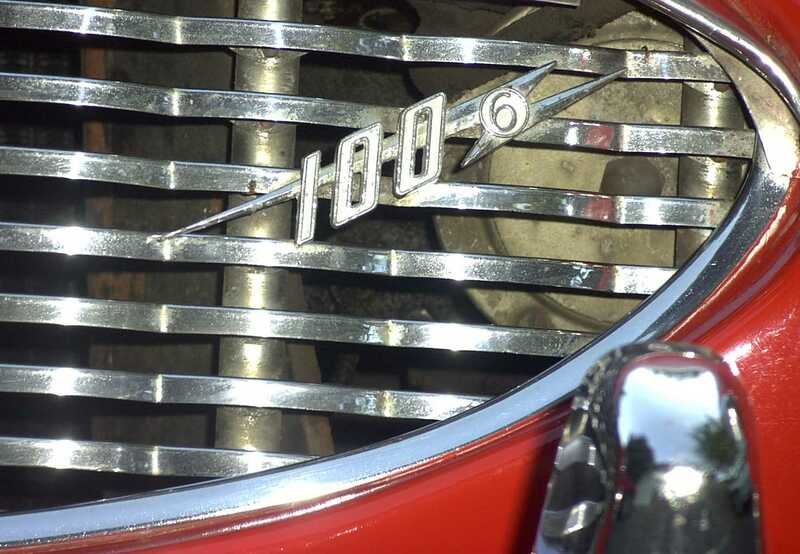 The son indicated that the car always had the 100/6 badges. I have spoken with several other Healey owners who also have early BN7's with 100/6 badges, so my car in not unique. If the 3000 model designation began with BN7 and BT7 production, why is this so?